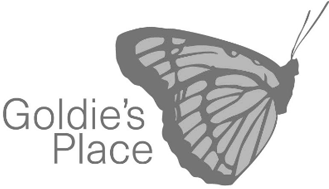 Goldie’s Place – Giving Tree Associates, Inc. Founded in the late 1990s as a volunteer program teaching academic and life skills to homeless shelter residents in Evanston, Goldie’s Place grew into a support center providing employment services and free dental care to the homeless throughout Chicago. After years of relying solely on its board of directors and executive director to raise funds through grants and events, the organization’s leadership recognized the need to take the next step to ensure long-term sustainability. Goldie’s Place partnered with Giving Tree Associates to develop a formal fundraising program and hire its first development professional. Giving Tree’s counsel allowed Goldie’s Place to empower its board of directors with clear goals, fundraising training and a solid plan to accelerate development efforts. With a focus on generating revenue through donor relationships, Giving Tree worked alongside leadership to hold a largely successful donor recognition event; personalize and grow its year-end appeal; and create a year-round communications plan, including a redesigned mission-focused newsletter. Through these efforts, Goldie’s Place increased its year-end appeal revenue by 300 percent and hired its first development professional, who began the job with a solid strategic fundraising plan and a clear path toward sustainability. Goldie’s Place has continued to partner with Giving Tree on a number of organizational initiatives, including grant writing, leadership coaching and strategic planning, to create a smooth transition following the retirement of its 19-year executive director. After performing a thorough organizational assessment, Giving Tree recommended a focus on board development, including the creation of a resource development committee and expanded associate board and leadership training. A robust fundraising plan included developing a compelling case for support, a year-round fundraising calendar, and an individual giving program with donor recognition and stewardship strategies.